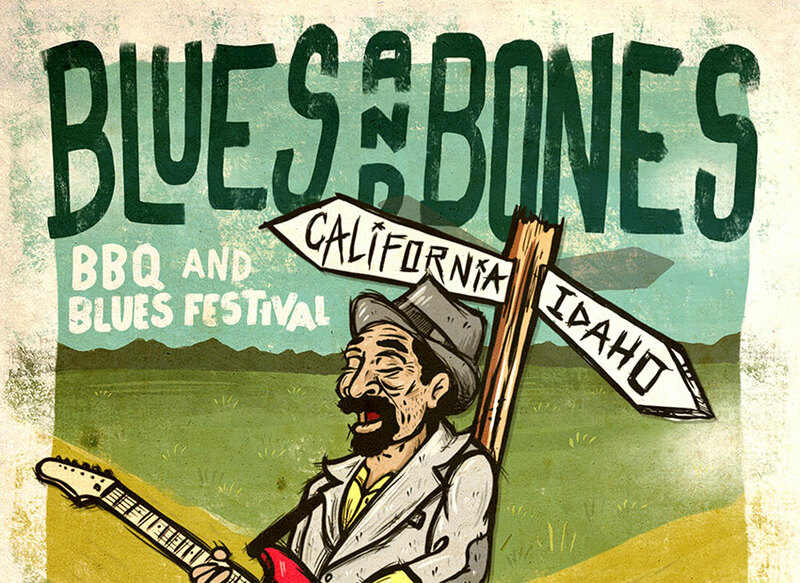 The 8th annual Blues and Bones Festival will be located at the Calaveras County Fair Grounds in Angels Camp, CA and is Home to the Famous Jumping Frog Jubilee. The Calaveras County Foothills will be echoing from the sounds of live Music. Featuring: Too Slim and the Taildraggers, Buddy Emmer Band, Jeramy Norris and the Dangerous Mood and Ryder Green and more. This BBQ Competition is a People’s Choice Event. If you like your food cooked slow & low, then step right up and order some of our BBQ. The folks selling you your 'Q at this year's Blues and Bones festival are competing for cash prizes and bragging rights in our people's choice contest. Entry to the Festival 30 minutes before general admission. Entry to the VIP after party Blues Jam following the festival.